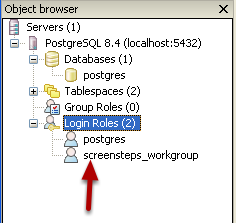 It is a good idea to create a PostgreSQL login role specifically for ScreenSteps Workgroup to connect with. These instructions will show you how. You can name the role whatever you would like. 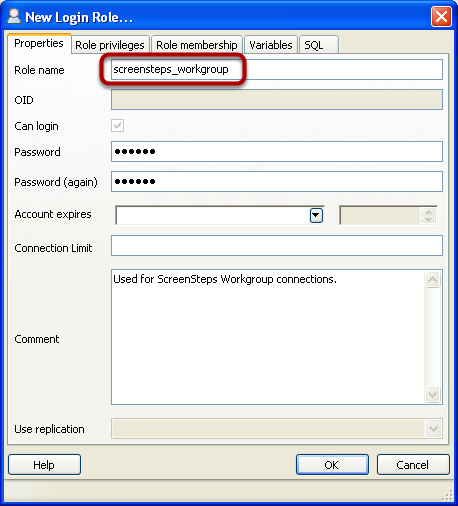 This example uses screensteps_workgroup so that it is readily apparent what the user account is for. 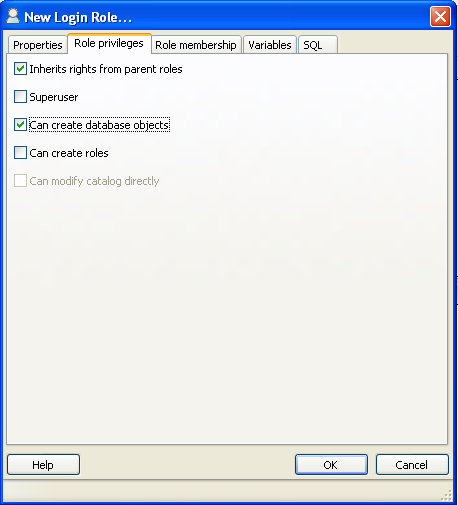 On the Role Privileges tab make sure the Can create database objects checkbox is checked. 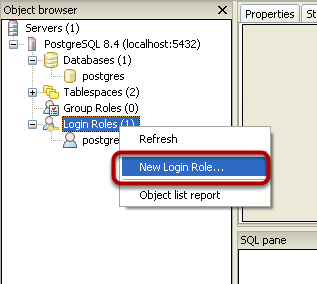 Click the OK button to create the login role. The new login role is now available.